Part of every holiday is shooting pictures and recording videos. Smartphones and the like make it particularly easy to preserve many valuable travel impressions. Several hundred pictures can be sorted at home. How nice it would be to incorporate these images and memories into an integrated travel project - not in the form of a collage, but in the context of a professional travel film, not only of your impressions on the spot, but also the arrival, departure and intermediate journey, documented down to the last detail! On the other hand, this feature is ideal for experienced users who want to animate the route quickly - without detours and without fine-tuning. 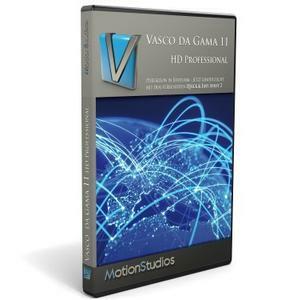 Apart from that, new users who are dealing with Vasco da Gama for the first time can create hand-on quick, meaningful and visually very attractive route animations and present them to their loved ones. This is route animation at the highest level. But that's not nearly all. Over a decade, Vasco da Gama has asked developers to optimize the Expert mode, whereby the user interface becomes more intuitive and allows for even greater maximum individualization. Adjust every little setting manually as you wish - for a maximum of detailed travel route animation. This also applies to the camera and positioning, which you can automate as usual or take manual control. Use multi-select in the camera mode to fix different settings for several camera points and positions. In this way, you can simultaneously change the zoom, the position or the direction of view with several camera points. Furthermore, the significantly improved copy and paste function offers intuitive operation when it comes to your personal camera settings. Now you can set, delete and append your waypoints with a mouse click, directly in Route mode. Or obtain accurate location information via the included GPS database. It's never been easier to create an itinerary. - Intel HD Graphics, Laptop, Notebooks, Netbooks or Onboard graphic chips with these minimum requirements can work, but they are not officially supported!